We started our Windows for Tomorrow program a while back and the response from our employees and our customers has been incredible. 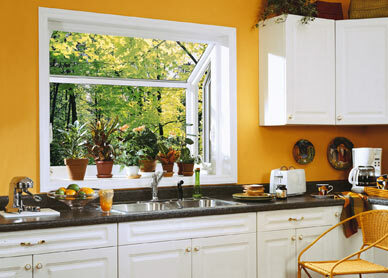 We started by adding our most efficient glass option to let you do as much as possible to reduce energy consumption. Within a matter of months that glass option became our most popular. Soon after the introduction of the new glass option our marketing people showed us how we could print most of our marketing materials on paper that is 100% recycled. This sounds simple, but it was a little harder than we expected. Next our salespeople came to us with the idea to make our fleet as fuel efficient as possible. Now all of our sales vehicles are classified as Ultra Low Emissions Vehicles by the EPA. The most surprising idea came from our finance department. They brought us a way to plant a tree for every job we install and we jumped at the opportunity. We know you have many options when deciding who to work with on your remodeling project. Make sure you select a contractor that is looking beyond this month’s sales figures. to preserve and protect our national forests. "We replaced all 24 windows and 2 sliding doors in our home. They were the best price by far, the warranty was great and the installation was simple. The crew had everything done in 2 days and we after they had left the house looked great." Not in Pittsburgh? We can still help. Find our other locations here. Copyright 2017.